The International Table Tennis Federation (ITTF) has launched the media accreditation process for the Liebherr 2019 World Table Tennis Championships to be held in Budapest, Hungary from 21–28 April 2019. The eight day-long extravaganza at the Hungexpo is set to be the biggest table tennis event of all time, with the world’s standout stars battling to be crowned World Champions in five medal events: Men’s & Women’s Singles, Men’s & Women’s Doubles and Mixed Doubles. Interested media who are registered with AIPS or their national press associations will have to apply for their media accreditation on ITTF.com before 22 March 2019 to tell the story of table tennis history being made in Budapest. Applications received after 22 March will not be considered. 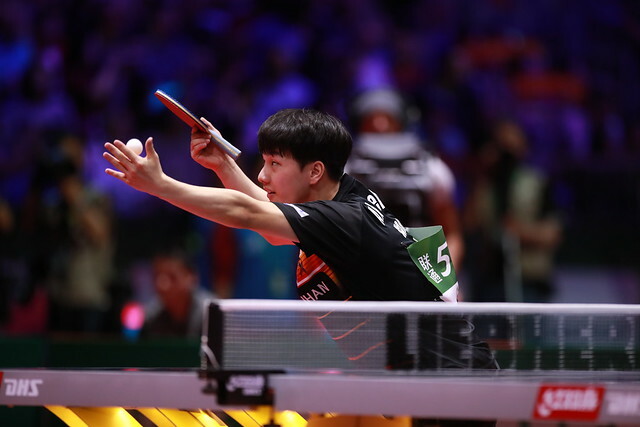 Media interest for the Liebherr 2019 World Table Tennis Championships is expected to be sky-high as the greatest players from all corners of the globe go head to head, all while the reigning World & Olympic Champions MA Long and DING Ning aim to defend their prestigious crowns ahead of the Tokyo 2020 Summer Olympic Games. In the meantime, stay tuned for all the build-up to the Liebherr 2019 World Table Tennis Championships on social media using the official hashtag #ITTFWorlds2019! For any questions, please contact ITTF Promotions Manager Caifeng YANG at caifeng@ittf.com.